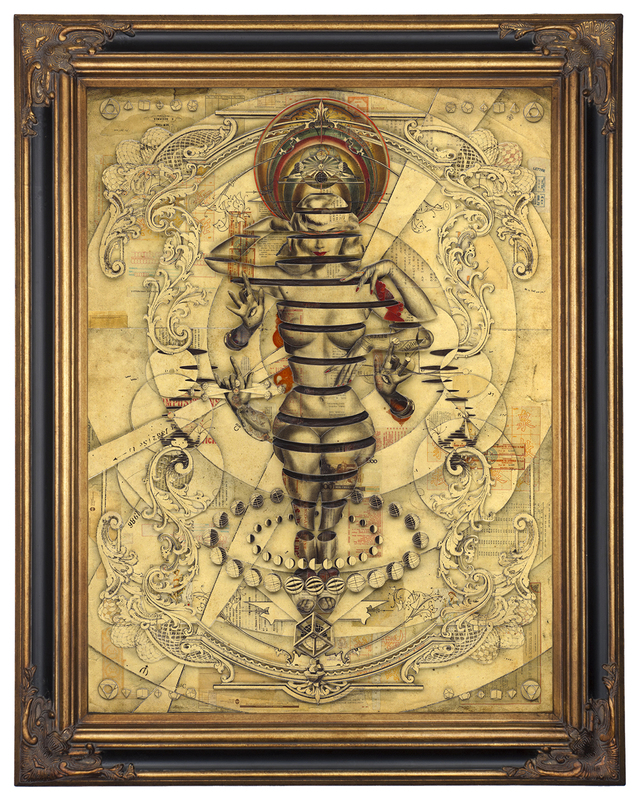 Dutch artist Handiedan was born in 1981 and is currently based in Amsterdam. With a background in photographic design, illustration and graphic design, she started working as a mixed media collage artist in 2007. Since 2011, she has taken her collage artwork outside the gallery creating, large scale wheat paste collages in Europe and in the U.S. In 2017, Handiedan engaged in virtual reality using Tilt Brush and realized Handria, her first 3D virtual collage and drawing that was presented at Future Play Festival in Edinborough. Her work has been exhibited around the world and has been featured in several books, magazines and blogs.